When we think about Thanksgiving, the natural vision is of a turkey taking center stage on the table, however, if you and your guests are Vegetarian or Vegan, here are some great alternatives that don’t go hungry. At Paul Evans Catering of Long Island, New York, we like to ensure everyone fills their belly, which is why we have some amazing vegetarian dishes on the Thanksgiving catering menu to please everyone’s diet. Here are some of our veggie options we think all your guests will love. Tarts are a great dish alternative on special occasions, and Thanksgiving is no exception! 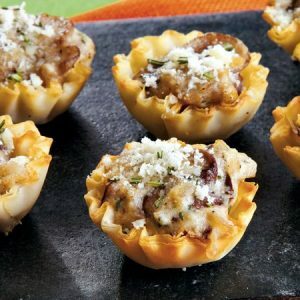 There are so many different filling options that there will be something everyone will love. With an assortment of wild mushrooms, this dish is flavorsome and filling. Mushrooms offer an almost meaty texture, and with added parmesan cheese on top, is a delicious alternative to have on your Thanksgiving menu. This has all the taste of autumn in a single tart. Browned apples and onions give a sweet and warming aroma, as well as a fantastic flavor. Add some gruyere cheese, and this becomes a combination which is hard to beat. Have a catering menu that all your friends and family will love this year. 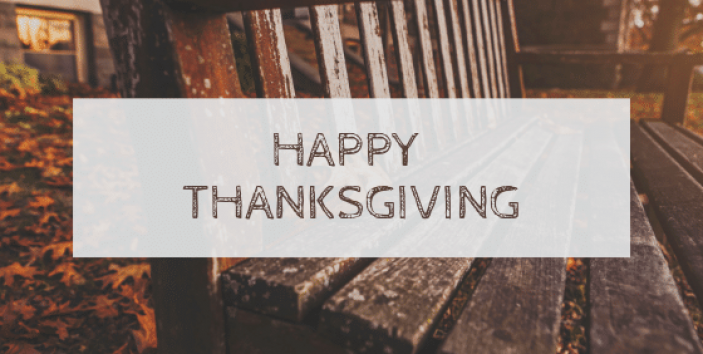 Check out our Thanksgiving menu. When having something other than turkey on the table, it is a great oppertunity to offer some side alternatives that you don’t always associate with a turkey dinner. Why not add something a bit different to your catering menu this year? Rice is an excellent alternative for anyone who isn’t taking part in a standard roast. This wild rice option offers a delicious crunch from almonds as well as added texture from the scallions. 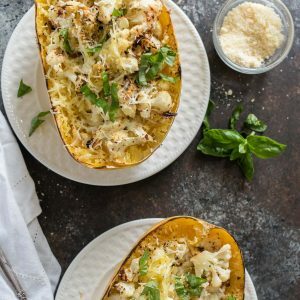 Spaghetti squash has been used as an alternative to things like noodles and pasta and it’s easy to see why. This side is a great option for anyone who prefer an alternative to potatoes. This roasted squash gives a mild but sweet flavor and with added cauliflower and garlic gives this dish some bite. Paul Evans Catering in New York offers a range of different dishes for your Thanksgiving meal this year. Take the hassle out of cooking and spend quality time with the family. View our catering menu. You Gather, We Fuss. That’s something to be thankful for this Thanksgiving.